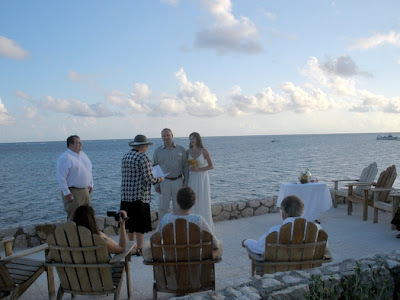 I had been talking to this marketing consultant from Virginia and his physician bride for some months, and was excited to learn they wanted to be married at the Cayman Castle in Gun Bay, on the eastern side of the island. Since I had often heard how pretty this location was, I wanted to see it for myself. 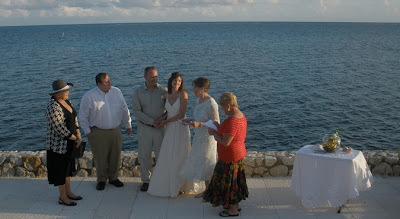 The wedding took place on this patio which is built right into the cliff. The castle sits on a little bluff, and has an infinity pool which is quite beautiful. The property also has an adjacent guest cottage. Altogether it is an outstanding location for a wedding. 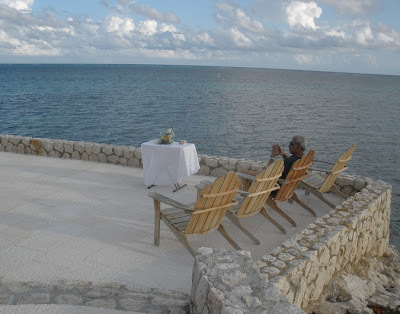 This was an intimate setting for a small group of family. 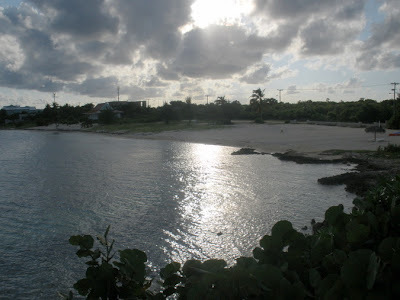 As seen from the castle, this little bay with its private beach is perfect for swimming and snorkeling, and would also be good for a large wedding. Ceremony by Joy for Simply Weddings, flowers by Every Blooming Thing. These pictures taken with my Olympus FE 370 . Official photos by Patrick Shea, who did double duty as bestman. Pat, if you're reading this, send me some of your photos. Call Simply Weddings for the royal treatment, with or without the castle. We treat our clients like friends. 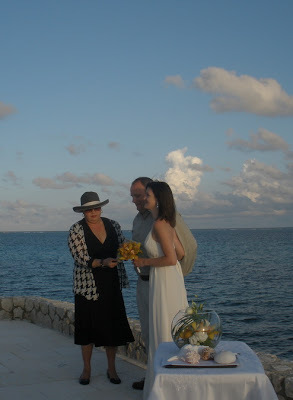 Call (345)9499933 or email mywedding@candw.ky for your own elegant Cayman wedding today. Book now to reserve your 2010 date. 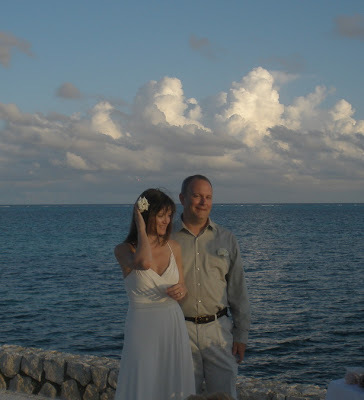 We specialise in Cayman Cruise Weddings for visitors from all over the world.